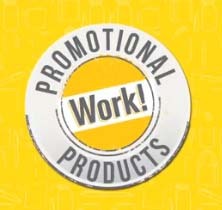 We recently had a question in the Twitter-sphere about the effectiveness of promotional products. More bluntly put, the Tweep was asking if promotional items are just thrown away. How long are promotional items kept? Michael Wolaver directed her to our Promotional Products Work webpage, where you can read industry research and watch brief videos. 47% of consumers KEEP promotional items for ONE YEAR or longer! Compared to other media, promotional products have a relatively low cost and provide repeated exposure to a message, since items are kept for so long. 53% of consumers use promotional items ONCE a WEEK or more! When targeting students, it is important to select an item that is relevant to the student, while still being brand related to help your college stand out. This will only increase the likelihood of the student keeping, using, and recalling your message. Students LOVE receiving items (83% of people do), and they WILL talk about it with their peers on social media. A simple t-shirt, bag, or pennant, for example, could have an even greater exposure when a student takes a picture and shares it online on Facebook, Instagram, or Twitter. As a result, students sharing their excitement and enthusiasm for your school with their peer group becomes free advertising! Learn more about the following on Promotional Products Work, including video comparisons to other media and generating the desired response. For ideas on how to effectively incorporate promotional items into your existing marketing and recruitment plans, contact us today at 414-831-0184 for a complimentary consultation.